Consign your material to be auctioned alongside these items on Monday, July 22, 2019 in Chicago, IL. 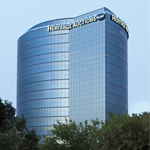 Consignment Deadline for this auction is Monday, May 20, 2019. Condition Report*: No apparent condition issues. Not examined out of frame. Print Grade: 10/10. Framed under glass.